It is only a week until Christmas Eve and, knowing how organized and forethoughtful you are, I know you have all your shopping done for this great gift-giving holiday. This means not only do you have time to read some of the new books listed below, but you have time to celebrate some of the special days that lead up to the first of the big December holidays. For instance, I bet you didn’t know that today is National Maple Syrup Day. You can celebrate by pouring pure maple syrup on just about anything. Tomorrow, the 18th is Bake Cookies Day – which is probably a good idea if you have family coming over for the holidays. The 19th is Look for an Evergreen Day. This is the day to get your fresh tree if you didn’t already get it on the second Sunday in December – the unofficial “Christmas Tree Sunday”. The 19th is Oatmeal Muffin Day – possibly a nod to preparing your arteries for all the rich food that will shortly be coming its way. The 20th is Go Caroling Day – which doesn’t seem to need an explanation. The 20th is Forefather’s Day and commemorates the landing of the pilgrims at Plymouth Rock in 1620. Humbug Day is the on the 21st – a day to allow everyone to vent their frustration with the upcoming holidays. The of course on the 23rd we have Festivus – that holiday for “the rest of us” so get out your aluminum pole and prepare for the feats of strength and the airing of the grievances. We all know that the 24th is the big Eve day, but did you also know it is National Chocolate Day and National Egg Nog Day. So have some chocolate with your nog and settle in and read one of the many new books listed below. Enjoy! What about those Packers? I think all Packers’ fans got their Christmas present a little early last week. I just hope we don’t need another “present” before this season ends and the playoffs start. And speaking of Christmas, we are only two weeks away from Christmas Eve. Looking out my window as I type and having checked out the seven day forecast, I believe all the lush, green grass is going to be around for a while. In fact the grass has some of the green intensity that grass has in the spring has. The good news is that two weeks is still plenty of time to get your shopping done and your house prepare if friends and family are coming over during the holidays. More good news is that tomorrow the sun will set one minute later than it did today. Sure, we’ll continue to lose time in the morning, but a lot of us aren’t awake (or awake but not conscious) to notice. You will notice that there are a number of new books listed below. Since there is still plenty of time for shopping and getting your house in order that means there is still plenty of time for you to read a book. Enjoy! Now that we have passed the Thanksgiving holiday, the gallop towards Hanukah, the winter solstice, Christmas, and Kwanzaa begins in earnest. With the approach of the solstice we begin experiencing the shortest amount of sunlight during the day ( I was going to say the shortest days, but the days are still 24 hours long; they just seem longer because they are so dark.) Actually, starting yesterday and going through December 7th , sunset is at 4:23 p.m. We only have one more minute to lose at the sunset end of daylight hours. From the 8th through the 10th sunset is at 4:22 and then things get better at the end. We gain a minute on the 11th at sunset but continue to loss daylight on the sunrise side of things. Sunrise will get later and later going from 7:11 today to 7:29 on December 29th where it will stay until a good week into the new year. At this time of year, when daylight is so hard to find, or if found doesn’t persist, any increase at the end of the day is something to look forward to. The good news is that long evenings give added time for reading. Below you will find an assortment of the new titles that have arrived at the library, many with a seasonal motif. Enjoy! When you sit down at your Thanksgiving Day meal, it will undoubtedly be with some combination of family and friends. As is true with any gathering of a large group that meets on an infrequent basis, those who are missing are as noticeable as those present. In your early decades those absent are undoubtedly fulfilling conflicting familial obligations. As the years roll on it is because those absent are permanently gone. Thanksgiving can become a celebration by survivors filled with gratitude that you can still gather together as well as being thankful for the bounties of the harvest. Once the grandchildren begin arriving, the whole cycle of life (of the clan) begins again. I’m sure the first Thanksgiving was an acknowledgment of survival and of gratitude. You harvest a crop and you are grateful that the crop survived. The survival of the crop means the odds have increased that you and your family will survive the winter. The immediacy of starvation and death, put a much sharper edge on the gratitude felt by those first practitioners of Thanksgiving, but I think we can all connect with those early settlers. In the midst of our daily life and the perils to life and health that we are all subject to, it is good to have a reason to sit down at a table filled with food at a time when the land is dormant and fecundity is but a distant dream, and hold hands and say “thank you”. I hope you have a joyous time with your families. The countdown to Thanksgiving Day is underway! It is only six days from today (if you don’t count today and don’t count Thanksgiving Day itself, which of course you wouldn’t do, right?) which still gives you days and days before you even have to start making the preparations and getting that big, frozen bird out of your freezer. If you haven’t gotten in your supplies for the feast yet or made your travel plans, now would definitely be a good time to do that. If you are one of those people who is always on top of things you should have plenty of time, even during the upcoming holiday week, to have some down time for yourself. You do so much for others; you’re entitled to a few hours of reading a good book. Here’s a little known fact that I just made up, defrosting a turkey takes less time if you are deeply involved in a book. So make the library a stop as you get ready for the feast and festivities of the upcoming week. Below you will find a listing of only a few of the new books that have been arriving. Enjoy! Two weeks from today is Thanksgiving – in case you didn’t know. It is a fairly late Thanksgiving, falling on the 26th this year. The latest Thanksgiving can be is the 28th and the earliest is the 22nd. There are 28 days from Thanksgiving this year until Christmas Eve. Which means, if you do the math, that from today (Thursday, the 12th) until Christmas Eve it is 42 days. Not a whole lot of time, but no need to start panicking yet. At least about Christmas, getting ready for Thanksgiving may be a whole other matter. In the meantime, the second week of November is National Young Readers week and the Tuesday of that second week (this year that could be November 10th) is National Young Readers Day. Since 1989, National Young Readers Week has been an annual event held during the second week of November to raise awareness around the importance of reading. The event was co-founded by Pizza Hut and the Center for the Book in the Library of Congress. In recent years free on-line books are offered during the week to encourage adults to read with youngsters. If you have a young reader in your household why not take a little time and help them enjoy the magic of reading. Speaking of the magic of reading and the upcoming holiday season, if you scroll your eyes down the page you will see a number of new titles available for your reading pleasure. You will notice that four of the fiction selections have holiday themes. Time to curl up and get in the holiday mood. Enjoy! October 29, 2015 - Greatest National Holiday of the Year! According to my sources, who happen to share their domicile with me, today is the greatest national holiday of the year. Yes, my sources claim, this holiday eclipses Christmas, New Year’s, Easter, and Halloween combined. That holiday is, of course, National Cat Day. National Cat Day was founded to help the public recognize the number of cats that need to be rescued. The day also encourages cat lovers to celebrate the cats in their lives for the unconditional love and companionship that they so selflessly bestow upon them. (This last sentence was obviously dictated by a cat to its keyboarding human.). Celebrate with your felines by spreading a little of the old catnip around, giving them an extra head rub, and reading “The Cat in the Hat” to them. It is also National Oatmeal Day—who knew? So eat some oatmeal, bake some oatmeal raisin cookies and bring some to the library for staff (hint, hint) and instead of putting milk or butter on your oatmeal, give it to your cat (if they are lactose tolerant) to help them party on (the last part of this sentence was dictated by a cat to this keyboarding human). It is also National Hermit Day which is the perfect day to unplug your phone and computer, spend time with your pet (cat), take long walks by yourself, take a (cat) nap, and read a book (about cats or with cats in the title). Speaking of books (about cats)*, if you cast your eyes further down the page, you will find a slew of new books that arrived recently. Enjoy! [*all comments in parenthesis were dictated by a cat to its keyboarding human).] Merry cat day! Today is an interesting day as far as nationally designated days go. Not only is today National Cheese Curd Day, it is also National I love Lucy Day (It was this day in 1951 that the I Love Lucy Show premiered on CBS. ), National Cake Decorating Day, and National Grouch Day. One wonders sometimes how specific dates – such as October 15th came to be chosen for some of these celebrations and observances. While it is obvious with the “I Love Lucy” day, some of the others make sense when you realize the celebrations held in the month of October. For example, October is National Bake and Decorate Month – so having a cake decorating day within that month correlates. So does the fact that National Cheese Curd Day occurs during American Cheese Month (which celebrates the variety of very fine cheese crafted in the USA, not that slice of orange “cheese”). Other celebrations in October which are interesting – but don’t make a lot of sense necessarily for October – National Caramel, Chili, Cookie, Dessert, and Dental Hygiene month. It is also National Pickled Peppers, Popcorn, Pizza, Pretzel, Pear and Pineapple, and Persimmons month. Oh, yeah, and it’s also National Book Month, which is a perfect segue to the books that have arrived since last I wrote. Cast your eyes down the page for exciting many exciting new titles. Enjoy! Fall is the time when, in somewhat recent history, people raked leaves off their lawns and burned those stacks of leaves. The smoke and smell of burning leaves awakes memories of childhood in people of a certain age. In 1871, there was a lot more than leaves burning on October 8th. The Great Chicago Fire burned from Sunday, October 8, to early Tuesday, October 10, 1871, killing 300 and covering about 3.5 square miles. But the Chicago Fire wasn’t the only place burning on that date, although it got most, if not all, of the national press coverage. As any Wisconsinite knows, the Peshtigo Fire was much bigger than the Chicago Fire. The Peshtigo Fire was a forest fire that took place on October 8, 1871 in and around Peshtigo, Wisconsin. It was a firestorm that burned hot enough to fuse sand into glass and before it was over had burned over 1,875 square miles (larger than the state of Rhode Island). It caused the most deaths by fire in United States history, with an estimated number of deaths of around 1,500 people (possibly as many as 2,500). What’s even more interesting is that on the same day these two fires were raging the cities of Holland, Manistee, and Port Huron Michigan were also on fire. All of these fires were the result of a very dry run of weather and then a cold front moving through with gale-force winds that just fanned the flames and kept the fires burning. And now, to segue gracefully from talking about fires to the next part of this column. Hmmm. How about, there are a number of hot titles listed below that will set you afire with their thrilling plot lines? Enjoy! It is hard to believe that it is already October. The days are getting noticeably shorter – both in the mornings and evenings. The nights are getting crisper. The trees are getting more colorful. The birds are flocking up and beginning to depart for warmer climes. The crops are finishing up (I am speaking of my own tomato “patch”) with soybean fields turning yellow and with corn firing. The other morning, when the temperature was hovering a little below 40 degrees I saw frost on the rooftops across from where I live. Honest! And, we did pass the autumnal equinox more than a week ago so I suppose it is inevitable that fall should be arriving. And once fall has arrived, can winter be far behind? But with the arrival of fall, the fall titles from the publishers also start to arrive. You will find some of those titles listed below. I know it is rather challenging to get to the library right now, what with the heavy equipment and cement trucks, but it is possible. The guys who bring us the new fall titles have made it through, so it is possible! Take a look at the new books waiting for you listed below. Enjoy! I don’t have a whole lot to report this week. Concrete work is still being done around the library so if you like your library quiet and you don’t like the sound of jack hammers and other noisy concrete-removing equipment, you might want to come in the evenings. The Market Street side of the library has torn up concrete as of this writing but it may all be poured by the time you read this. Tree removal is finished on Library Street but the concrete work has not begun. So, it may be a challenge getting to the library – I know I have certainly been challenged – but we are open for business. While it isn’t easy to get to the library, those who deliver books and books orders to us continue to maneuver their way to us. All this work will soon be completed and the winter will be here with many similar challenges for getting to the library. In the meantime, there are a number of new books listed below. Enjoy! It is only two days until International Talk Like a Pirate Day. On September 19th everyone is encourage to talk like a pirate. If you’re language piratical comes from movies -- which, upon reflection where else could it have come from since swashbuckling buccaneers in the Caribbean neck of the woods was pretty much over with by the mid 1700s?—and you are at a loss for pirate words, don’t despair! There is a website called talklikeapirate.com that has a widget that will translate your words into “pirate”. So “avast”, “ahoy”, “shiver me timbers”, and “arrrgggghhh”! That site also has a pirate personality inventory (think Myers Briggs for pirates)[apparently, I’m “the Captain”], and a pirate name generator (in case in connecting with your inner pirate you failed to figure out your true pirate name)[apparently my pirate name is Calico Anne Flint – I was hoping for the Dread Pirate Robert]. This website and I’m sure many others will help you talk like a real pirate on this international day of celebration. Remember, pirates were adults and some of the content on some of these websites might involve topics, well, piratical. So, me beauties, if ye cast yer eyes below, you’ll be findin’ some books that ye might be enjoying! I can’t believe it’s the second week of September already and I haven’t done my annual Summer Reading re-cap. All the books have been counted, all the pages and minutes read accounted for, and I can finally give you all of the amazing numbers about how many people read how many books! Every year, for more years than I care to remember, I have been reporting the number of pages read in concrete terms. I have converted the number of pages read (or pages listened to, or time spent reading) into inches, then converted those inches into miles, and then plotted that number of miles on a map. Since I have been doing this annually for enough years for this to have become a tradition, and since I’m wise enough not to tamper with a fine tradition, here goes! This year 357 people participated in the Summer Reading Program. Those participants managed to read 1,107,735 pages, which is quite an impressive number! Now, on to the calculations which begin with this question: “If you laid all the pages of the books that were read end-to-end how many miles would they stretch?” The average size of a page is 9 inches tall which gives us (1,107,735 times 9” or 9,969,615 inches—always show your work if you want to receive full credit.). Then we take those 9,969,615 inches and divide by 12 to give us 830,801 feet and then divide by 5,280 to give us 157.4 miles. And, voilà! If you laid all the pages read during the Summer Reading Program end to end and drove east on I-90, you would end up about 3 miles west of the Oak Lawn Public Library. Or heading north and west on I-90 you’d end up about a three miles south of Winona, MN. Any way you look at it, that’s a whole lot of reading was done this summer! Congratulations to all the Summer Reading participants. I was on vacation last week. I was on my annual pilgrimage to Stratford, Ontario for a week’s immersion in theater. Each day I saw a matinee and evening performance of Shakespeare, or Ben Jonson, or Sophocles, as well as a musical by Rogers and Hammerstein It’s so very nice to sit in a dark theater and watch characters struggle with what it means to be human, what it means to be a ruler, a lover, a tamer of a shrew, a conman, or the prince of Denmark. It’s a relief at some level to know that humans have been struggling with some of the same questions that plague you and me in our daily life for a couple of thousand years now. I suspect that, while we have been asking the same questions for a very long time, there isn’t a universal answer; there is only the answer that works for you. But what works for you is very similar to what works for others and this similarity is where our shared humanity resides. At least that’s my opinion. And that is the reason why I think great theater, literature, and the other arts need to preserved, experienced, and thought about. I also like theater because things are usually resolved at the end of the third (or fifth) act and I’m not part of that particular drama (just an interested observer, thank you very much!). And since brevity is the soul of wit, I shall end now and move you on to this week’s list of new titles. Enjoy! You do realize that there is only one more weekend in August before we hit the Labor Day weekend which traditionally marks the end of summer. Around her of course, the end of summer has already happened. 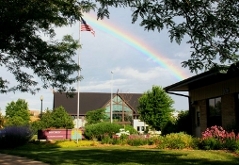 The Summer Reading Program of the library ended, the store has been closed, the donation dollars to the DeForest Area Needs Network and The Dane County Humane Society are being added up. The number of books, pages, and minutes of reading that occurred over the summer are being tallied and, I hope, by next week to perhaps have some amazing numbers to tell you about. Numbers like how many people participated, how many thousands of books were read, how many tens of thousands of pages were read, how many miles those thousands of pages would equal if spread end to end, and other fascinating facts and figures about those who have been reading with such dedication this summer. In case all this talk about reading has gotten you inspired, you will find a bunch of new titles listed below. Enjoy! This past week we bid a fond farewell to summer at the library. Our summer program came to an end with a party for all the super heroes who had read so many books this summer. The prize store is officially closed. The silver surfer in the middle of the circulation corral will be wending his way back to his “lair” in the basement and we will be turning our thoughts towards September and the start, not just of school, but of National Library Card Sign-Up month. It seems like only yesterday (possibly last week) when summer books, also known as “beach reads”, were still arriving. Now we get to cast our eyes towards the arrival of the fall titles which will begin arriving any moment now. I have a couple of FYIs for you concerning the weather that may lie ahead of us as the year begins winding down. I have been shown photographic evidence of a wooly bear caterpillar – who was undersized when he posed for his photo shoot – as you may recall in years past I have sometimes made a very accurate prediction of the winter to come based on the stripe size of these little fellows. The other weather tidbit is that the dog-day cicadas started singing about 10 days ago. And we all know what that means, don’t we? It means the first frost is six weeks away. That would be the early middle of September. So be prepared! In the meantime, there are lots of new books (are the summer reads or the beginning of the fall books?) arriving. Enjoy! I know they say that as you get older, time seems to go faster – which personally, I wouldn’t know about. This summer, however, does seem to be getting a bit ahead of itself. Back-to-School ads started just after the 4th of July and at about the same time, Halloween items started populating some of the major stores. If you’ll scroll your eyes down the page a bit you will see a book by Fern Michaels with “Christmas” in the title. How’s that for jumping the gun a bit? FYI, Christmas is 141 days from today – that’s 4 months and 19 days. And, I just know in my heart of hearts, that this book is just the first shot across the bow. The publishers will all be jockeying to get their Christmas books out before ever other publisher does so that they can capture the early-shoppers market (or some other marketing strategy too arcane for me to understand). While summer is moving on apace here at the library – the Harry Potter Birthday has taken place and the summer library program has ended—there are still many books to be read that are just perfect for the beach, warm summer days, and those lovely, extended evening we are still experiencing. Below you will find a sampling of books for any season. Enjoy! It’s hard to believe that today is July 30th – or Harry Potter’s Birthday Party Eve. Once we are passed that big birthday bash the library’s summer reading/learning program comes to an end. And suddenly we are into August and the run up to school starts in earnest and summer is pretty much over. I know it’s hard to believe how quickly summer comes and goes. It seems like once we get past the 4th of July, retailers start beating the back-to-school-sales drum. This year’s somewhat peculiar weather has skewed things a bit too. My tomato plants are starting to finish off already even though the crops haven’t really started to arrive yet (of course my tomato plants may be looking like they’re finishing because the high winds that have accompanied some of our recent storms have knocked them and their pots right over. And tomato plants for all their height and girth are rather delicate things.). I’ve been hearing crickets since the beginning of the second week of July. And the weather lore is that it is 6 weeks from the first time you hear crickets chirp until the first frost -- which would put that first frost some time towards the middle of August. However, I believe crickets chirping has more to do with how warm it was in the spring (so it was warm enough for little crickets to emerge and start growing to the size when they can start singing) rather than them mystically knowing when the first frost will be and working backwards on their calendars to find the date six weeks before and write in “start chirping”. Even with summer evaporating as we watch, there are still plenty of good summer reads to be had at the library. Below is a sampling of the new titles that arrived this week. Enjoy! There is nothing much to write about today. July 23rd is the 214 day of the year with 161 remaining. It was the birthday of Raymond Chandler in 1888. A hundred and one years later, in 1989, Daniel Radcliffe, star of all the Harry Potter films, was born. Speaking of Harry Potter, the annual Harry Potter Birthday bash is only a week and a day away. Every year, the library honors the birthday of the fictional character Harry Potter by having a huge birthday party. There will be cake, there will be beverages – pumpkin juice & butter beer—there will be crafts and competitions. Plan on attending! This invitation is for you. Come in costume if you so desire! The Harry Potter birthday party also draws us to the end of the Summer Library Program (and reading contest). So, while nothing much happened today, today is the harbinger of a big birthday party and the winding down of the summer activities. By the way, I actually already have seen ads for back to school. Once those ads are out in the world, we really are getting towards the end of summer. Although, I’ve also seen Halloween items starting to pop-up over the horizon like meerkats surveying the environment and that holiday is still months away. While summer’s end is creeping towards us, the summer book titles keep arriving. Below you will find a baker’s dozen to choose from. Enjoy! This is a big week in terms of historic literary events. This Tuesday, July 14th, besides being Bastille Day, the day Billy the Kid was shot to death, the day Hank Aaron hit his 500th home run, and the day a new, digital audio recording technology was christened MP3, is the day that a new book by Harper Lee was published. This book, “Go Set a Watchman”, was Lee’s first novel that, with a lot of editorial advice, became the iconic “To Kill a Mockingbird”. The first chapter was available for reading or listening to online over the past weekend. The writing style in that first chapter seems confident, competent, and familiar. A whole lot has already been written about this book, the most anticipated publishing event since “Harry Potter and the Deathly Hallows” and with at least as many pre-orders. Each reader will have a different reaction to it I’m sure. The book is embargoed by the publishers which mean even if we have copies in the library on Monday we can’t do anything with them (including reading them) until Tuesday, the 14th. The publisher ordered a two million copy first run but that was before orders started coming in. It will be interesting to see if this book, by the author of an American classic, will beat the 8.3 million books that the last Harry Potter book ran up. It’s all very exciting. Below you will find a list of other books available for your reading pleasure. Enjoy! When I sat down to write this, it was just coming up to 2 p.m. on July 3rd which put me in mind of that great turning point in the Civil War –152 years ago—when Pickett was about to make that failed charge at the Union lines which would end the hopes of the South. Pickett’s charge put me in mind of the William Faulkner passage from “Intruder in the Dust” : "For every Southern boy fourteen years old, not once but whenever he wants it, there is the instant when it's still not yet two o’clock on that July afternoon in 1863, the brigades are in position behind the rail fence, the guns are laid and ready in the woods and the furled flags are already loosened to break out and Pickett himself with his long oiled ringlets and his hat in one hand probably and his sword in the other looking up the hill waiting for Longstreet to give the word and it's all in the balance, it hasn't happened yet, it hasn't even begun yet, it not only hasn't begun yet but there is still time for it not to begin …” Faulkner was writing in 1948 and sixty-seven years later, I imagine, this is still true for some. It’s hard to remember sometimes that the Civil War, this Battle of Gettysburg took place during the 87th anniversary of the Declaration of Independence and that Faulkner wrote his tome only 85 years after Pickett’s Charge and that history is alive and playing itself out in current times. One of the things that great literature does is connect us to the past and the present. It illuminates the present in terms of the past and the past in light of the present. Which is why we should read the classics. Well, enough of that. By the way, we do have many, many classics in the library. And while I’m sure you’ll enjoy the books listed below, I don’t think any in this batch will achieve the status of “classic”. Classics are like rich desserts; a little goes a long way and leaves you hungry for more. The lighter fare below however, is perfect for summer reading. Enjoy! On this day in 1776, the Continental Congress voted unanimously to approve the Lee resolution declaring independence from Great Britain with New York abstaining. Two days later Jefferson’s edited version of the resolution was adopted: “these United Colonies are, and of right, out to be Free and Independent States”. In 1964, President Lyndon B. Johnson signed the Civil Rights Act into law. It prohibited racial discrimination in employment and education and outlawed racial segregation in public places. In addition, the bill laid important groundwork for a number of other pieces of legislation–including the Voting Rights Act of 1965. This day is an important day in United States history. Some other interesting, and a lot less important things, also happened on this day as well. It is the day that the Army Air Force later said was a weather balloon crashed near Roswell, N.M. Eyewitness accounts gave rise to speculation it might have been an alien spacecraft. It was also the day in 1962 that the Walmart store (called Wal-Mart Discount City) was opened in Rogers, Arkansas, by Sam Walton and his brother, James. Since July 2nd is so close to the July 4th holiday, with – because of the way the day / date falls is also being celebrated (by some) on July 3rd, this is the perfect weekend to settle in for a bit of a reading marathon. Below is a list of the newest titles available at the library. Enjoy! We officially rolled past the first day of summer on Sunday, June 21st. That day was 15 hours, 22 minutes, and 22 seconds long. The next day we lost two seconds of daylight. Today, we have already lost 14 seconds off the longest day. It’s all a downhill slide from here on out until the end of December when we’ll start gaining daylight again. How quickly time flies! Speaking of time flying, on June 16th we rolled past a literary day, celebrated world-wide. It is a day that celebrates a novel that is approximately 265,000 words in length, uses 30,030 words (including proper names, plurals and various verb tenses), and is divided into eighteen episodes. This novel transformed modern writing with it use of stream-of-consciousness technique, its use of structure, and its experimental prose. Here is the opening of that famous work, see if you recognize it: “Stately, plump Buck Mulligan came from the stair head, bearing a bowl of lather on which a mirror and a razor lay crossed. A yellow dressing gown, ungirdled, was sustained gently-behind him by the mild morning air.” Yup. You guessed it. We missed Bloomsday. Next year for sure we should have a celebration. Perhaps we can travel around the area reading excerpts from the book, quaffing a pint or two of ginger beer or root beer or a cuppa tea while arguing about what it all means. I really think we should do this. “yes I will, yes.” But until next year, we will leave “Ulysses” and move on to the newly-arrived books. They are listed below for your perusal and your pleasure. Enjoy! After the deluges of last week we seem to have settled into a cool (for mid-June) weather pattern with only occasional showers. While this might not be ideal weather for outdoor summer activities, it is pretty darn good weather for reading! Cool days, with a few clouds thrown in for atmosphere, let you stretch out on the sofa (davenport/ couch/divan/chaise longue/ chesterfield/settee/love seat/ottoman –what have you), throw a light covering (blanket/quilt/comforter/etc.) over you, invite your pets (preferably mammalian and able to appreciate and at the same time be a heat source) to join you and settle in with a good book. Below you will find a list of many of the good books that arrived at the library this past week. Remember you can redeem all the reading you do this summer for Dragon Dollars which can be used to purchase many fabulous items available in the “Summer Lair” or which can be donated to the DeForest Area Needs Network or the Dane County Humane Society. Your donated Dragon Dollars will be converted into legal tender and given to those worthy causes at the end of the summer program. Enjoy! Have you ever noticed how the seconds, minutes, hours in a day go faster or slower depending on the time of year? For instance, during the darkest, coldest days of winter when we get this side of nine hours of daylight each day, I have calculated minutes to actually last 88.8 seconds instead of the standard 60. This means hours instead of lasting 3600 seconds, actually last 5,328 seconds which means days last 127,872 minutes instead of the standard 86,400. No wonder winter days drag on and on. Conversely, when we get to the spring and early summer days (prior to the summer solstice when things start heading downhill again) when those bright, sunny days with rosy-fingered dawns and light in the evening sky until all the stars are strung across it, on those days when we are getting over 15 hours of daylight, I have calculated minutes to actually last 31.2 seconds. This is why those perfect days of spring and early summer seem so fleeting – they actually are. While the numbers assigned in these calculations are purely figments of my imagination the numbers bear me out. During summer a minute is experienced as 48% less than a standard (or average) 60 seconds. During the dark days of winter a minute is experienced as 48% more than an average minute. And if you average the 48% above average with the 48% below average, you get your average 60 second minute. Voilà! Another mystery explained. If you’re in the mood for more fiction, scroll your eyes down the page where you’ll find our latest selection of fiction and non-fiction titles. Enjoy! Mother Nature has sure been doing a good job of providing perfect reading weather. This past weekend what with the cold and the dark and the rain there wasn’t a better activity to find than curling up with a good book under a nice warm comforter with a cat, a dog, or your significant other (or any combination thereof). While summer seems to be a little shy about walking through the door – first one step in, then a couple of steps back—the summer library/learning/reading program has walked right in and made itself at home. If you are a reader, no matter what your age, you can participate. Reading translates to earning Dragon Dollars which you can use to purchase fabulous prizes in our “Summer Lair” or which you can donate them to one of two charities 1) the DeForest Area Needs Network (D.A.N.N.) or the Dane County Humane Society. At the end of the summer library/learning/reading program those dragon dollars will be converted into real dollars and presented to those charities. Reading pays off in many ways! So while you’re waiting for summer to arrive, you will find a list of dandy books to read huddled up in a blanket or sunning on a beach (I’m being optimistic here). Enjoy! It’s hard to believe that here it is Thursday, May 28th and we are already 3 days past Memorial Day. Back in the day, Memorial Day used to be observed on May 30th and used to be called, Decoration Day. It was a day to decorate the graves of those who had died in service to their country and began at the end of the Civil War. Quoting Wikipedia, “Copying an earlier holiday that had been established in the Southern states, on May 5, 1868, in his capacity as commander-in-chief of the Grand Army of the Republic, the veterans' organization for Union Civil War veterans, General John A. Logan issued a proclamation calling for "Decoration Day" to be observed annually and nationwide. It was observed for the first time that year on Saturday May 30; the date was chosen because it was not the anniversary of any particular battle. According to the White House, the May 30 date was chosen as the optimal date for flowers to be in bloom.” Decoration Day slowly turned into Memorial Day and then turned into one of the holidays covered by the Uniform Monday Holiday Act of 1968 which moved four holidays from their traditional dates to a specified Monday in order to create a convenient three-day weekend. Now that you know more than you wanted about the holiday we just celebrated, let me note in passing that this year’s observation of the date on May 25th was the earliest the last Monday of May can occur. So we are having an early start to summer which is good because a whole lot of books, perfect for summer reading, have started to arrive and are listed below. Enjoy! While the weather flirts with summer-like humidity and temperatures and then frosty rooftops in the next morning there’s still plenty of time to train for the summer reading/ learning program at the library. As is our wont for low these many years you can earn dragon dollars ( good only in this public library) which can be used to purchase fabulous prizes from our “store” or which can be donated to the DeForest Area Needs Network or the Dane County Humane Society (those dragon dollars will be redeemed by an anonymous donor). So get in shape to do some serious reading this summer. Below you will find some new titles that recently arrived at the library. Some are weighty tomes, some are light reading but I believe you are supposed to mix things up when you are talking physical fitness. Some cardio, some light weight lifting. If you’re a runner that would be long, slow, distance mixed with sprints. No matter what your training regimen is, you should find something below to suit your needs. Enjoy! If you managed to miss all the hoopla that has been happening at the library around the book “To Kill a Mockingbird” there’s still one more opportunity for you to participate in this community event. This Saturday, the classic, feature-film version of “To Kill a Mockingbird” starring Gregory Peck, will be shown as our Saturday matinee. All the activity of the past weeks was in anticipation of the publication of Harper Lee’s book “Go Set a Watchman”. That book is due to be released on July 14th (Bastille Day, but I doubt there is any significance in that!) and I imagine there will be a whole lot of holds on it. Will this book compare well with “To Kill a Mockingbird”? That’s hard to predict. That one (and until now, only) book by Harper Lee set an incredibly high bar. Purportedly “Watchman” is the book out of which “Mockingbird” was created by shifting the point of view to Scout as a child. If that’s the case, “Watchman” should have good “bones”. We’ll all just have to wait and see. In the meantime, there are plenty of new books that have been arriving almost as quickly as the grass has been growing. Enjoy! On the “To Kill A Mockingbird” – community-read front, there is good news. You still have time to grab a copy of the book, read it and come to the group discussion on Wednesday, May 13th at 6 p.m. Unfortunately, you already missed the documentary “Hey Boo: Harper Lee and To Kill a Mockingbird” as well as the feature-film presentation of the classic movie version of “To Kill a Mockingbird”. But you have not yet missed the visit by author Marja Mills who wrote “The Mockingbird Next Door: Life With Harper Lee”. Ms Mills will be at our library this Friday – that’s May 8th. At 6:30 there will be a special after-hours reception for Ms Mills which is a fundraiser for the Friends of the DeForest Area Public Library who sponsored this author visit. Twenty-five dollars at the door will get you access to Ms Mills and the opportunity to taste a number of Southern desserts – pecan pie, chess pie, and Lane cake. Many of the foods being served were mentioned in the book. After the reception, at 7:30 the public (this means you – unless you’re already here for the fundraiser) is invited for the author presentation and book signing. The paperback version of Marja Mills’s book was just released on May 4th. The Friends of the DeForest Area Public Library will be selling those books in case you wish to purchase a copy and have it signed. It should be quite the event. Please come. We would love to have a very full house! In the meantime – if you’ve already read “To Kill a Mockingbird”-- a number of new books have arrived and they are listed below. Enjoy! Two weekends ago, I was up at the crack of dawn and heading towards Columbia County before there was a hint of light in the sky to take part in the annual Midwest Crane Count. Being out so early in the morning, watching pastel hues blue being chased by oranges and pinks and finally yellows is one of those things everyone should do occasionally. Being out so early with a good purpose makes you feel doubly virtuous – for being up early while the rest of the world is asleep and for collecting data that helps advance knowledge. I’m always so gratified when I can get a “twofer” – especially when it involves getting up early. Someone asked me the other day how long I have been doing this and I really can’t tell you. I’d have to go back and check my records, but I do believe it was sometime in the 1990s. Sandhill cranes are long-lived birds so I could conceivably still be hearing and seeing some of those I first saw and heard many years ago. But the odds are I’m now counting children and perhaps grandchildren of some of my original cranes but mostly in the same places. The fact that good breeding land has remained over these many years is a good thing for the cranes and those of us you love cranes. Anyway, speaking of birds, the library is doing a community read of “To Kill a Mockingbird” by Harper Lee. A big event with the author, Marja Mills, who lived next door to the Lee sisters for 18 months in Monroeville, Alabama and wrote the book “The Mockingbird Next Door”, will be our library on Friday, May 8th. The Friends of the Library are sponsoring the author and holding a fundraiser prior to the presentation that will be open to the public. The fundraiser will include access to the author as well as “To Kill a Mockingbird” related desserts and beverages. Checkout the library’s website or call for more information. Speaking of books, a number of new titles have arrived and are listed below. Enjoy! Those of you who follow the book trade are probably already aware that the new book by Harper Lee – the author of that great American classic “To Kill a Mockingbird”—is due to be published this summer. The actual date of publication is July 14th (Bastille Day) and is very close to the July 11th publication date of her first book which was published in 1960. The new book, “Go Set a Watchman” purportedly contains some of the vignettes that eventually wound up in “To Kill a Mockingbird”. In anticipation of this publishing phenomena, the library has planned a community read of “To Kill a Mockingbird”, screenings of a documentary called “Hey, Boo!” which is about Harper Lee, a screening of the major motion picture adaptation of the book starring Gregory Peck as Atticus Finch, and a discussion of the book. The Friends of the Library are sponsoring a presentation by Marja Mills who lived next door to Harper Lee and her sister and has written a book about her experience entitled “The Mocking Bird Next Door: Life with Harper Lee”. Ms Mills book spent 7 weeks on the New York Times Best Seller list and she is a Pulitzer prize winning journalist. This celebration of “To Kill a Mockingbird” shall be taking place between April 27th and the middle of May. Check the library website or the circulation desk at the library for details. If you are counting the days until the new Harper Lee book is published this website is keeping track: http://www.bookcountdown.com/detail/harper-lee/go-set-a-watchman-a-novel Enjoy! Spring has arrived. The drought has been broken. The migrating birds are arriving in bunches every day and filling the day with song. The grass is greening and any day now will need mowing. The trees are looking all lacy in silhouette. The winds are bringing warmer air from the south and the heat isn’t kicking on at night. The tulips, crocuses, and daffodils are emerging and flowering. The shrubs are starting to bud out too. And the days are lengthening nicely so that evenings are extended and early mornings aren’t dark so long. Ah, springtime in Wisconsin. Perhaps the major reasons many of us live here and put up with the snow, the cold, and the dark. It is so hard to stay indoors and read when the weather is holding the door open and nudging you out the door. But those longer evenings and early mornings are still the perfect time to settle down with a good book. Spring titles are appearing at the library nearly as frequently as the house sparrows are making visits to their nest in the tree outside my window. An assortment of new book titles is below. Enjoy! April 9, 2015 - Welcome, Spring! I think we can officially declare that spring has arrived. Not only are there abundant robins on the grass (alas), red-winged black birds, grackles, and killdeer (just to name a few of the myriad springtime migrant birds) but there are also flowers popping up all over (daffodils, crocuses, and tulips just to name a few). The trees are budding out and looking lacy and the ornamental trees are sending forth flowers and pollen (alas). The Easter bunny has made his chocolate and candy deliveries and by the time you read this the NCAA men’s basketball championship shall have been decided. But what really makes this “officially” spring is that I saw my first motorcycle being driven around the area over the Easter weekend and I saw a family out flying a kite. I think when you combine those two sightings with the hints that nature has been giving us, you’d have to say “Welcome, Spring!”. Speaking of spring titles (admittedly not the smooth segue you are used, but, hey, it’s spring) there are a number of new titles for you to peruse below. Enjoy! It seems one of those cruel twists of (dare we say) spring in Wisconsin that there were flocks of robins hopping around on the lawn listening for worms (as robins are wont to do) while I gingerly slid to my car and spent a good 5 minutes chipping it out of the ice it was encapsulated in last Sunday. While it does seem that we evaded the WIAA Basketball (boys and/or girls) curse of a winter snow storm, it seems that the basketball playoffs (NCAA) part of the curse was in effect when we got that four-inch snow event on the 22nd into the 23rd. It is hoped that we are done with that white, fluffy stuff for at least the next, oh, eight months or so. I know we still have the NCAA Men’s basketball Final Four and Championships to get through on April 4th and 6th. But what is spring, if not a season of hope? And why not hope that there is no more snow this spring? If you were hoping for some new books, you won’t be disappointed. A number of new books have been arriving at the library, some of which are listed below for your entertainment and enlightenment (and probably some other word that starts with “e” that I will come to me in the middle of the night). Enjoy! Last week I told you about some of the avian signs of spring’s approach. This week, let me tell you about the astronomical signs of spring and other things that happened at the time of the vernal equinox – also known as astronomical spring-- arrived on March 20th at around 5:45 p.m. At that moment the sun crossed the celestial equator going from south to north and we experienced the equinox( the hours of daylight and night are equal). From now on, with the sun heading further north we’ll be adding more hours of daylight until we hit June 21st. Also on March 20th the moon turned new only 14 hours after reaching lunar perigee (the moon’s closest point to Earth in its orbit). This means that this was a super moon (a new or full moons closely coinciding with perigee) at the new phase so it is not visible in our sky, but it was still having a larger-than-average effect on Earth’s oceans. This new super moon also swung right in front of the equinox sun on March 20th, so that the moon’s shadow fell on parts of Earth thus creating an eclipse. Unfortunately the best spots to have watched this total solar eclipse from land were the Faroe Islands and the Svalbard archipelago(Up near Iceland & Greenland). So while the arrival of spring was very exciting in some parts of the world, there wasn’t actually much to see around here. Except the robins. Robins returned to the area the beginning of last week (at least on South Street) and what with the robins, red-winged black birds, and having passed the vernal equinox, I think it’s pretty safe to say that spring has sprung. A baker’s dozen of new book titles are listed below. Enjoy! Winter seems to have made a hasty retreat that seems to be persisting. We made it through the Girls’ WIAA Basketball tournaments without a blizzard and the extended forecast – at least at this writing—has the temperatures in the 50s right through the Boys’ WIAA Basketball tournaments. I’m knocking on wood even as I type this, but is it possible that we will miss this fine, old tradition of a major snow storm in mid-March? Guess we’ll just have to wait and see. In no way am I even remotely complaining mind you. You do have to look very hard to find little piles of snow anywhere and while I have yet to see or hear a robin, I am getting reports of sandhill cranes in the area. The resident song birds are already singing and starting to build nests. The grass is starting to green up. My spring allergies are in full swing. The spring lists of books are arriving from the publishers. All of which are pretty sure signs of spring. Couple that with the fact that the vernal equinox occurs on March 20th and I think it is safe to say that spring is arriving. I believe the library’s prognosticating badger made the correct call on Ground Hog’s Day when he saw his shadow and predicted 6 more weeks of winter. There are many new spring titles arriving almost daily at the library. Below is a sampling of titles. Enjoy! The Winter Reading Program officially ended on Saturday with the official “End-of -Winter-Reading-Program Party. And with the end of the Winter Reading Program, it seems as if quite suddenly winter has relaxed the stranglehold it has had on the thermometer. Why the days have become downright balmy and the birds have started singing (I have a cardinal who starts in a little before 5a.m. every morning. I would be willing to try to relocate him to your neighborhood, if you’re interested.). The spring books have started to arrive from the publishers with increasing frequency. So, before the snow cover completely disappears and you feel compelled to go out in your yard and start the spring chores, why not check out some of these great new titles and rest up for the great work ahead of you? Enjoy! Well. As I reported last week, I did go out to Nebraska to see the start of the sandhill crane migration. As anticipated, I did see thousands of sandhill cranes. I also saw tens of thousands of geese – mostly Canadian with a whole lot of Snow geese too. There were meadowlarks and huge migratory flocks of red-winged black birds. There were also many pairs and single eagles and red-tailed hawks all along I-80. Traveling down a rutted gravel road I saw something ahead of me in the ditch and at a distance thought it was a dog. It turned out to be the first of fifteen deer that meandered across the road in front of me to join about fifteen more deer in a field on the other side. There was one big buck that still had his rack of very white antlers. Quite the sight as were all the cranes and all the other birds. Usually the trip to Nebraska is reassuring in that spring is more advanced there. Temperature-wise it was only a few degrees warmer than Wisconsin, but there was no snow cover. Having no snow cover goes a long way towards reassuring a person that spring could possibly show up one of these days. While I was gone a whole lot of new books showed up at the library. Some of the new arrivals are listed below. Enjoy! There are only ten (or eleven days depending on when you read this and depending on how you count) until Daylight Savings Time starts. The days don’t actually get longer, but we are awake and moving during more of the daylight hours so the days seem longer. And if Daylight Savings Time is in effect, can spring really be that far away? I think not. If the weather holds and the forecasts are somewhat accurate, I should be out in Nebraska gazing at cranes by the time you are reading this. The first returning cranes were spotted on February 7th, so the odds are very good that a lot more sandhill cranes shall have arrived in the Kearney, Nebraska area by the time I get there. Those of you have read this column for lo, these many years know that I am a bit of a craniac (a portmanteau word made from “crane” and “maniac”). But even if you’re not a craniac, the annual sandhill crane migration through the central flyway is a sight you should see sometime in your life. It’s about a ten to 12 hour trip (depending on how fast you drive and how many stops you make), mostly out I-80. Words really can’t describe the spectacle of seeing tens of thousands (half a million at the peak) of cranes congregating in a stretch of the Platte River from York to a little past Kearney, Nebraska. The sound that tens of thousands of cranes can make is also indescribable. It truly is a wonder of the natural world. Anyway, while the countdown to spring continues here, I shall be searching for my February cranes which to me are the real harbingers of spring. There are a number of new books for your perusal listed below. Enjoy! Ever since our prognosticating badger said winter would hang around for six more weeks, winter certainly has been strutting its stuff. Those high winds couple with single digit temperatures have certainly cooled down the library building (at least near the exterior walls which is where my computer is located). The sunshine certainly helps and the longer days too. They help lift the spirits if you’re sitting somewhere warm inside looking out. If you’re out in the cold, that’s a whole different story. There is good news though. As cold as it is there are still some birds – raptors—that are starting to pair up, build nests, and start the cycle of life. I’m pretty sure I saw a loose flock of Lapland longspurs fluttering around a field where earth was showing through the snow cover. These birds head north to nest in the tundra (not much different than the current conditions we are experiencing) and start moving around in flocks prior to pushing further north. And, some sandhill cranes have already returned to Nebraska. So spring is getting here, just a little more slowly than some of us would wish. In the meantime, there are plenty of great books to read while you’re keeping warm indoors. Enjoy! Wow! Last week our prognosticating badger was on the front page of the DeForest Times Tribune. Sure, he was below the fold, but still he was on the front page! Now, if only he is as good at forecasting as he is photogenic! And, at least he didn’t bite anyone in the ear. If our badger is correct you can expect spring to arrive right around March 16th which would be nice for all of those looking to celebrate St. Patrick’s Day on the 17th. But let’s not look that far into the future. Let’s look at today, which, if memory serves, is Abraham Lincoln’s birthday – which, by the way appears only on one of the four calendars I have in my office and on my phone. When I was a kid we celebrated Lincoln’s birthday which was followed by George Washington’s birthday on the 22nd. It was a history-rich month that made us think about what an impact one person could have on an entire nation’s history as well as had us pretending to split rails, tell tall tales, make paper axes, and have cherry-based refreshments. President’s Day was/ is the official federal holiday commemorating Washington’s Birthday on the third Monday of February (in order to get a three day weekend). Lincoln’s birthday has rolled into it over the years and is ambiguous a holiday so as to encompass as many Presidents as you’d care to celebrate. Anyway, today is Lincoln’s birthday. A number of books were written over the past year or two to honor the sesquicentennial of his death coming up this year in April in case you’re interested in reading more about the man. A number of new books have arrived this week and coincidentally, the first title is a book about George Washington. Enjoy! I am sitting writing this on Saturday, January 31st, just two days away from Ground Hog’s Day. I am writing this with the threat of a major winter storm in the air. As you may recall, if the ground hog – either Sun Prairie Jimmy or Punxsutawney Phil sees his shadow (i.e. it is sunny out so said ground hog casts a shadow)then he will retreat into his burrow and winter will persist for another six weeks. And right now, the way that winter storm is moving, it looks like the snow and clouds will be cleared out of here by the time the sunrises on February 2nd. This year the library is using its own prognosticating animal. We have been loaned a taxidermied badger who acts as a mascot for our Badger Book Club. Monday, our badger will be making his own forecast. Check Bucky’s prediction on our FaceBook page Monday afternoon. Badgers don’t do sunrises. They take a more moderate approach to waking up and like to have a leisurely brunch. In the meantime, there are a number of new books for you to check out this week. Enjoy! This is very unusual. Most weeks I have more new books to choose from to tell you about than there is space to do so. This week that is not the case. These week there are only five – yes five—books to tell you about. So let me tell you about some interesting year-end book publishing information. Notice anything interesting here aside from the fact that “The Fault in Our Stars” holds three of the top ten slots in different formats? Only two of the books are adult titles “The Gone Girl” and “Killing Patton”. The rest are young adult titles with two of those aimed at middle school or slightly younger children. So it looks like young people are reading actual, physical books and are being lead to those titles by movies. Of this list five are young adult (four from the print list and “If I stay”) which means five of the top sellers on Kindle are adult titles. So, does this mean that more adults are reading ebooks and more young adults are reading print? Hard to know, but it certainly is interesting. In the meantime, I’ve now filled up a few more column inches and will leave you to scroll down the page to the five paltry, new books we have for you this week. Enjoy! The month of January got off to a fine start with a brisk, somewhat extended dip into arctic temperatures. While waiting for the temperature to moderate and become more reasonable, I found myself continually querying myself as to why I continue to live in Wisconsin (during the winter). I have to admit that I didn’t come up with a very good answer. Habit of course is one answer and something to do with the 2nd law of thermodynamics is another. As the days lengthen in January and the cold –for the moment at least- is no longer strengthening there are a number of interesting celebrations coming up. To start off with month of January is not only Hot Tea Month but it is also National Oatmeal Month. Seems really appropriate doesn’t it? This week finds the 11th being “Step in a Puddle and Splash Your Friend’s Day” – a little difficult to do this time of year since our puddles tend to be solid blocks of ice. January 13th is purportedly “International Skeptics Day” but I find that hard to believe. The 14th is “Dress Your Pet Up Day” which some may find easier to do than others. The 15th is “National Hat Day” which isn’t hard to celebrate in these northern climes since we should all be wearing our hats when we go out in the cold. The 16th is “Appreciate a Dragon Day”. This library has more than its fair share of dragons, so feel free to come in and appreciate any one of our dragons you care to. When you’re not involved in all these marvelous opportunities for celebration, you might want to look through some of the new books listed below. Stay warm and enjoy! Well, this is the first official, non-holiday, column for this year. The solemnity of this occasion is nearly overwhelming so let’s just get past that and move on to old familiar topics like the weather. It seems like we dodged the bad-weather bullet as far as travel on any of the four holidays around the end of the year were concerned. But now that we are firmly rooted in January, apparently the weather has decided to take the metaphorical gloves off and hit us with a one-two punch of winter. I mean, really? Snow and daytimes high temperatures right at or below zero? Did we really need to do this? There is that old weather adage that “as the days lengthen the cold strengthens” and that certainly does seem to be the case. Since December 10th when the sun was setting at 4:22 in the afternoon, we have gained (as of January 10th) twenty minutes—sunset is at 4:42. And as of January 10th we also gained a minute in the morning as well. Sunrise has been “stuck” at 7:29 since the 29th of December. It has now moved back to 7:28. So all this extra daylight will allow us to see how low the outdoor thermometer has dropped. But perhaps the forecast is wrong, or overblown. Be of good cheer, it’s only 23 days until February which is only 28 days from March which can be only a few days away from spring. In the meantime, there are plenty of books to read while you’re staying warm and cozy indoors. Enjoy!